Used in 90% of all applications, these sew-on Velcro® Brand woven hook and loop tapes consist of minute flexible hooks or mushrooms, which engage with a mating woven, knitted or nonwoven loop tape comprised of small soft loops or yarns. Technical Note: Woven VELCRO® Brand tapes have a binder coat which helps prevent fraying of the tapes when cut. 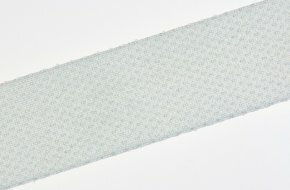 Due to this coating, many commercially available adhesives will not readily adhere to the back of woven tape, so if you intend to glue the tape you should consider the use of a VELCRO® Brand pre-coated peel and stick products also available through OPAS. 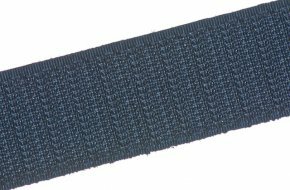 VELCRO® brand product standard 16mm width sew on loop tape in black supplied in 25m reels. 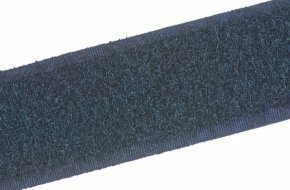 VELCRO® brand product standard 20mm width sew on hook tape in black supplied in 25m reels. VELCRO® brand product standard 20mm width sew on loop tape in white supplied in 25m reels. 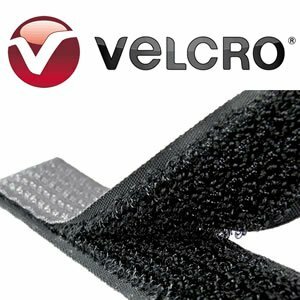 VELCRO® brand product standard 30mm width sew on loop tape in black supplied in 25m reels. 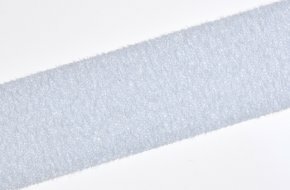 VELCRO® brand product standard 50mm width sew on loop tape in white supplied in 25m reels. VELCRO® brand product standard 100mm width sew on loop tape in white supplied in 25m reels.